Got a question this morning asking how to get cheap plane tickets to go to Japan. I don't know if any ticket at all is going to be cheap right now, but here's how I got my airplane tickets to go to Japan to film TofuguTV… at around $150 less than the going rate. Right now, flying to Japan is expensive. Pretty much no matter where you look, you'll see that flying to Japan (at least from the West Coast of the US) costs around $900. That's a lot of money, but that's also just how it is. I got a round trip ticket for $750, and here's how I did it (you can use this "trick" for flying anywhere, really). There are a lot of sites that do something similar to what Kayak does, but for some reason Kayak is my preference. I'm thinking I like them best because of "step 2" (a very important step if you want to get the cheapest tickets possible). 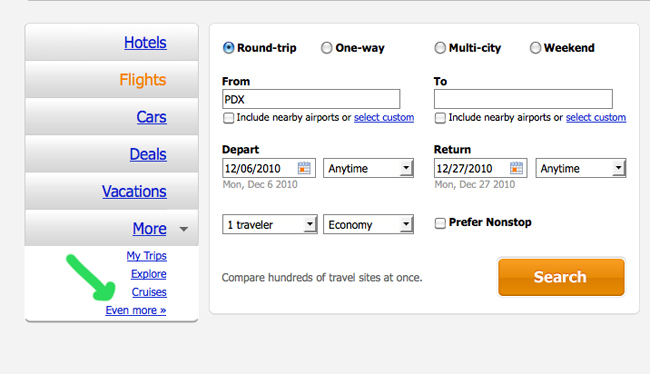 Kayak basically takes your search (where do you want to go? When? 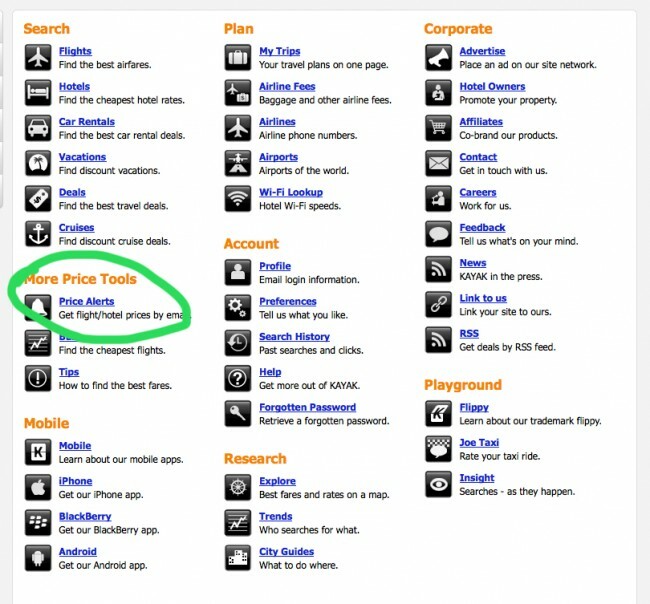 etc) and searches a bajillion other travel sites and airline sites for you, so you don't have to. It then lays out the best prices for you so you can get the best deal. Okay, great, a lot of sites can do this. If you're looking to get a quick ticket, this is good… if you're looking to get the cheapest ticket, there's one more step. First, create a Kayak account (otherwise you won't be able to move on). Step 2: Find "Price Alerts"
Now, look in the "More" then "Even More" sections. When you're there, you're ready to create a Price Alert. Anyways, nothing super fancy here, but this is a neat little way to find cheap tickets. The thing about airplane tickets is that almost no matter where you look, prices are going to be about the same, give or take just a little bit. There are moments, however, where prices go down just for a few hours… and you want to get notified of those times as quickly as possible. Basically, this is a pretty good alternative to spamming the refresh button on Kayak's website all day long. So there you have it. That's how I got a "cheap" airplane ticket to Japan (when are scientists going to get on that tube technology?). Maybe I could have done better, but I doubt by much. As long as you have the patience, time, and flexibility, this is the best way I've figured out, anyways.